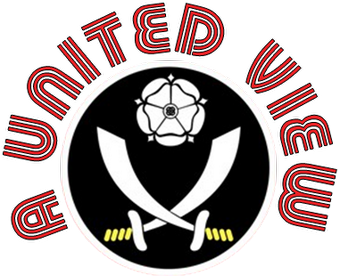 After my opening post in the series last week, which you can read here, it is my pleasure to welcome Rob Langham (Lanterne Rouge) from the football league website The Two Unfortunates to offer up his Dislikable XI. As the purveyor of an avowedly non-partisan website, I’m not really allowed to truly dislike players so I found the brief provided to me by A United View on Football a difficult one to fulfil. Nor would I resort to the easy option of including Joey Barton or Lee Bowyer in my list – they’ll be amply covered by others no doubt - and including Chris Morgan might upset my genial host. So, although some of the XI below make it on to my list for traditional reasons, there is a strong political bent to my selections, for which I make no apology. Having said all that, the curly topped custodian does make it in for sheer odiousness. A 2007 visit to the Emirates allowed me to witness the full force of the man’s personal acidity, stationed as I was behind his goal. Selfish, arrogant and unapologetic that being in the team was more important to him than the club winning trophies – no wonder Manuel Almunia is a bit rubbish after years of this guy glowering at him? I disliked Neal as a player for his possession of average talents despite his presence in one of European football’s greatest ever sides and the mediocrity of his England displays during a barren spell for the national team in the late seventies. But the respect I had for him due to his emergence from the un-footballing environs of Irchester, Northamptonshire, was extinguished after The Observer Sport Monthly exposed his wish to make financial gain for talking about the Heysel Stadium tragedy. Like many on this list, Robinson is a man who we would all secretly like on our team and, most of the time, he emerges from his fearsome tackles with the ball. But he isn’t dubbed the poisonous squirrel by accident. For it’s not so much the combine harvester limbs that make the Bolton full back scary; more the psychopathic gaze that precedes the act of ball winning itself. Ironically castigated by Neal in his autobiography for being mean with money, Hughes was quite annoying enough before this revelation. A Seventies icon who seemed to embody the gruesome light entertainment of that age, Crazy Horse reached his apogee on A Question of Sport¸ famously turning into mush at any contact with Princess Anne -and he even cropped up hosting his own quiz show Box Clever, as well as making an appearance in the infamous It’s A Royal Knockout. The first name on the team sheet as always. A sumptuous talent at home in midfield or in defence, capable of fulfilling the old fashioned sweeper role and possessor of a mighty lash from free kicks, a man from Vukovar was never going to emerge with average opinions but growing up near the Serbo-Croat border does not excuse his alleged branding of Patrick Vieira as a “nero di merda”, nor does his admittance that he is plagued by dreams of being attacked by snakes. Now blazing a trail through various Italian hot seats, Jonathan Wilson has argued that his portrayal as a demon is grossly simplistic – doubtful. “The Guv’nor” moniker has of course been roundly parodied and never appears without the preface “self-styled” – but it’s not so much the label, more the humourlessness that accompanies its usage that invites ridicule. I waver on Ince and admire him for his trailblazing role as a Black player and manager and his excellence in Manchester United’s return to prominence, but his snarling style never provoked admiration and nor does his decision to accept the gaffer’s role at MK Dons – twice. Another man unlikely to be too bothered by the rise of the extreme right in Europe, Di Canio has admitted to being a fascist, but not a racist – well, that’s all right then isn’t it? Just as some feel that the likes of Franco and Mussolini can be excused because of their non-involvement in the Final Solution, others feel that Di Canio is a loveable rogue. Nor should we ignore various managers’ assertions that he always happened to be suspended over Christmas and nor, as a Reading fan am I surprised that he’s now talking to Swindon Town about their vacant manager’s job! Like many on this list, an outrageously gifted human being, but in a two year stint of watching weekly Premier League football in 2006 and 2008, and against stiff competition including Cristiano Ronaldo and El Hadji Diouf (as well as my club’s own Stephen Hunt and Leroy Lita), Robben was comfortably the most ready to plunge to turf when challenged. Tom Daley would be proud of him and that’s without even mentioning the furrowed brow and abuse levelled towards team mates who dare not pass to him – most clearly exhibited during the 2010 World Cup. A rumoured dressing room bully who presided over Newcastle United’s mindset like a footballing version of Finchy from The Office, it would be informative to wonder how the Toon might have fared if all hadn’t been about HIM during his spell in black and white. During that period, Didi Hamann was proffered a copy of Mein Kampf and Alessandro Pistone provided with a sheep’s heart as Christmas presents. His tactical meltdown as a manager has been topped only by his abysmal punditry. Ex-Scunthorpe United striker Ian Botham almost made it in for his continued Little Englander pronouncements, but it’s a man who was also on that Newcastle United yuletide gift list who nabs the final spot. Never more than an average player, Ferguson once boasted of never losing an aerial battle, despite ample televisual evidence to the contrary, and his decision to abandon his national team displayed a petulance and self-regard entirely at odds with his meagre contributions on the pitch. Rarely can someone who averaged a goal every 4 games been afforded the kind of hero’s welcome provided by Everton fans recently. Four convictions for assault complete the picture. An obvious choice maybe, but this personification of the Machiavellian mindset has attracted by opprobrium ever since his questioning of the Royal Berkshire Ambulance Service. He is a wonderful managerial talent and a worthy successor to the likes of Helenio Herrera, but some grace would not go amiss. His touchline posturing and inability to take adversity on the chin would be bad enough but his antecedents in Salazar's Portugal confirm his shady malevolence. Great choices LR. 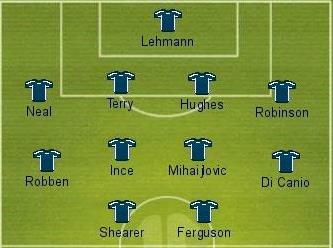 Terry nearly made my team - a man who thinks there is an I in team and undermines his managers frequently. Robinson is also an interesting choice. I am not sure what it is exactly, I just can't pinpoint it, but he is quite incorrigible. Even my wife a Bolton season ticket holder, can't stand him! Thinking about going to Robinson in Surreal Football's Left back series but I'll admit to not disliking him quite so much as some of the others on this list.